Why Use the Collaborative Process? • You, the Client, are in charge. The parties control the proceedings. Your destiny (and that of your family) is not in the hands of someone else (the court). The process is empowering, informative, and less stressful than going to court. You are a vital part of the settlement team and you will arrive at a resolution that you agree with. Each party has a skilled family lawyer trained in and committed to the collaborative process of settling issues without resorting to the court. Divorce coaches and financial planners also help during the process and are utilized jointly by the parties, avoiding the need for separate sets of experts. You are each represented and supported by your own lawyer. You and your lawyer can cooperate with the other party and his or her lawyer in resolving your issues. Everyone can focus on arriving at a settlement without the constant threat of “going to court.” Issues that arise can be dealt with quickly, without waiting for the court to schedule a hearing in a few weeks or months. The Collaborative process is generally less time-consuming and less costly than court conciliations, hearings and trials. You are in charge of the process, so you can decide how quickly you want it to proceed. As part of the process, the issues underlying the dispute can be addressed with the use of skilled professionals. If you have children, it is in their best interests for you to be able to deal with those issues and communicate respectfully with your partner in regard to your children. The Collaborative process works if problem solving and the future is more important than fighting, and you want solutions that are fair and agreeable to all parties. • It’s a Series of Meetings. You attend informal meetings with your attorney, the other party and his or her attorney, where the future well-being of you and your family is the number one goal. The issues to be addressed are decided and agreed upon in advance. Each party exchanges information in a complete, open and honest way, in an informal setting. Financial information is shared with a financial professional who can help the parties maximize their settlement choices. You will use creative problem-solving techniques to help you resolve immediate issues and ultimately produce a settlement agreement tailored to the needs of you and your family. Because the process is not adversarial, everyone is treated as part of a settlement team, including the attorneys. • Your Attorney is Focused on Settlement, Not Court. The lawyers have a strong incentive to succeed in helping you achieve a settlement, because otherwise they must withdraw from representing you. Both attorneys are focused on the process as well as the outcome. They are committed to finding constructive ways to achieve a settlement that will work best in your situation. In the event the parties are unable to reach a settlement through the Collaborative process, the attorneys must withdraw from the case, and each party is then free to hire a trial attorney to pursue the matter in court. This gives each party further incentive to work together to resolve the issues without going to court. • Talk with the other party about the Collaborative process. • Each of you choose a Collaborative attorney. 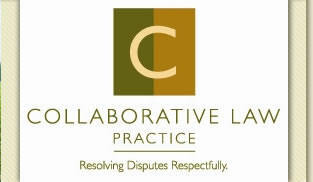 • Meet with your Collaborative attorney to discuss the details of your situation and begin the collaborative process.